Jami grew up in New Hope, Pennsylvania and has an educational background in Psychology. Growing up she spent most of her time outdoors and has always had a deep appreciation of nature and wildlife. She is an avid skier, hiker, runner and outdoor girl having tremendous passion for animals and their behavior. It was a natural transition to photographing wildlife and landscapes full-time as a professional nature photographer. She has been photographing for over 30 years. Jami’s work focuses on conservation issues, endangered species and fragile landscapes. She travels all over the world working on projects that contribute to the awareness of current conservation issues. She has published in books, calendars, magazines and newspapers worldwide. She believes that visual imagery is a powerful tool and influencer of human behavior. 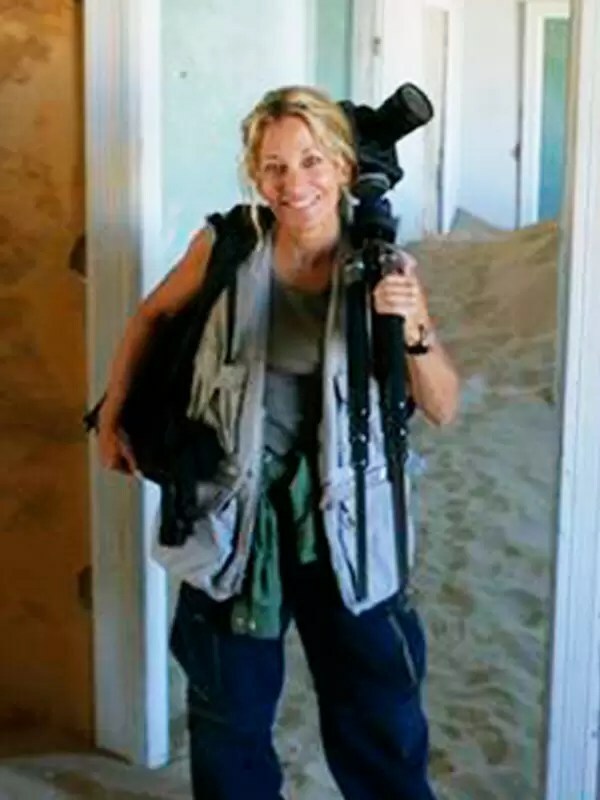 When not traveling internationally, Jami travels around the United States giving talks and slideshow presentations about photography, wildlife, and acute conservation challenges. Upon invitation, she is happy to speak to schools, private groups or organizations about her work and projects. Living in Santa Fe, New Mexico, Jami and photographer husband Theo Allofs, spend as much time as they can at home with their West Highland terrier named Gershwin.